Most psychics, specifically the ones who aren’t members of the X-Men, are heartless monsters who live off of the grief and gullibility of others, and they’re so full of themselves that they go out of their way to make people think they’re special by pretending to communicate with their dead friends and loved ones. They are needlessly cruel, and if there were even a hint of legitimacy to their “powers” then there would be no unsolved murders, no lost car keys, and no question of the existence of an afterlife—and yet none of that has come to pass. 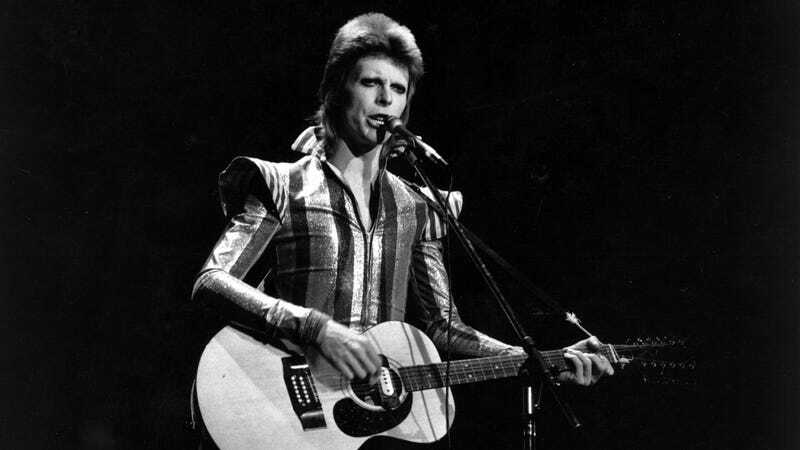 That all being said, David Bowie apparently encountered the one real psychic in the entire universe back in the ‘70s, and they managed to predict the exact date of his death in January of 2016. It’s difficult to determine just how true this story is without any additional details from the book, but it’s worth remembering that the music video for “Lazarus” really seemed like it was foreshadowing Bowie’s death—which happened just days after the video came out. Bowie did know he was dying before any of the rest of us did (because he had cancer), but is it crazy to think that he planned the release of “Lazarus” and the Blackstar album all the way back in the ‘70s when a psychic told him what would happen on January 10? It’s impossible to know for sure, at least without the assistance of some kind of craven con artist with the “ability” to communicate with dead people. If only we had somebody like that, we could just ask Bowie if psychics are real and settle this once and for all.